The Ruler of Malaysia's Pahang state, Al-Sultan Abdullah Ri'ayatuddin Al-Mustafa Billah Shah was appointed the 16th King of Malaysia on Thursday, a historic event which upheld the unique monarchial rotational system. 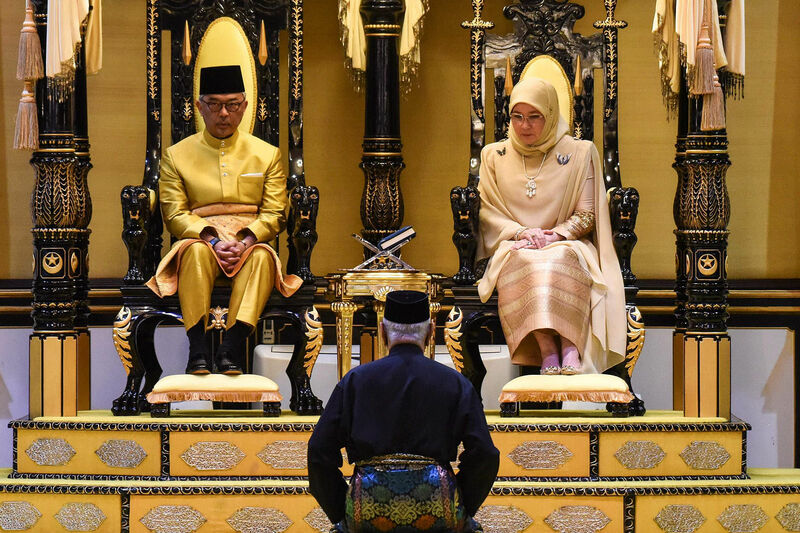 The appointment was announced after all the Malay Rulers met in the Special Meeting of the Conference of Rulers at the Istana Negara (National Palace) on Thursday to elect the new Yang di-Pertuan Agong (the King is referred to as Yang di-Pertuan Agong) to reign for five years. Sultan Abdullah replaced Sultan Muhammad V of Kelantan (Malaysia’s east coast state) who abdicated the federal throne on Jan 6 after holding the office since Dec 13, 2016. The meeting chaired by the Ruler of Terengganu, Sultan Mizan Zainal Abidin, also elected the Ruler of Perak, Sultan Nazrin Shah as the Deputy to King of Malaysia to reign for the same period. The swearing in ceremony for the new King and his deputy will be held at the Istana Negara on Jan 31. Sultan Abdullah was proclaimed as the 6th Ruler of Pahang on Jan 15, succeeding his ailing father Paduka Ayahanda Sultan Ahmad Shah Sultan Abu Bakar. Sultan Abdullah, who turns 60 this year, is often kept busy especially during the floods and he makes sure that none of the districts escape his attention. Sultan Abdullah is also a well-known personality in the country’s sporting arena, particularly in football, for besides being a footballer himself, he also excels in the leadership aspect in keeping the people united through the game. Currently, Sultan Abdullah is a council member of the ASEAN Football Federation (AFF) and member of the FIFA Executive Committee. He also served as president of the Football Association of Malaysia (FAM) between 2014 and 2017. A keen sportsman, while in England, he led the Pahang Royal Polo team in an international tournament At the Windsor Polo Club (England), as well as taking part in competitions in Singapore, the United States, Argentina, Spain, Belgium and the Philippines. Sultan Abdullah, the fourth child and eldest prince of Sultan Ahmad Shah and the late Tengku Ampuan Afzan Tengku Muhammad, was born on July 30, 1959, at Istana Mangga Tunggal, Pekan near here. He attended pre-school at the Clifford School, Kuala Lipis in 1965, before continuing his primary education at Sekolah Kebangsaan Ahmad in Pekan and Sekolah Rendah Kebangsaan St Thomas in Kuantan (1966-1969) and his secondary education at Sekolah Menengah Kebangsaan St Thomas (1970-1974). Sultan Abdullah attended the Royal Military Academy Sandhurst, United Kingdom for a year from 1978, where his high commitment was evident when he was made a Second Lieutenant and he was commissioned by Queen Elizabeth II in 1980. He was also the Captain of the Malaysian Royal Cavalry Corps and, on May 1, 1999, he was appointed as Lieutenant Colonel of the 505 Territorial Army Regiment and then as the Colonel of the 505 Territorial Army Regiment on June 1, 2000. He was eventually appointed the Brigadier General of the 505 Territorial Army Regiment on April 1, 2004. In addition to his military training, Sultan Abdullah also studied at Aldenham School, Elstree, Hertfordshire, UK and Davies College, London, UK (1975-1977) and at Worchester & Queen Elizabeth College, UK (1980 - 1981) where he received his Diploma in International Relations and Diplomacy. In terms of leadership, his skills were 'tested' for the first time when he, at the age of 20, was appointed the Regent of Pahang on April 28, 1979, for five years when his father was appointed as the seventh Malaysian King. 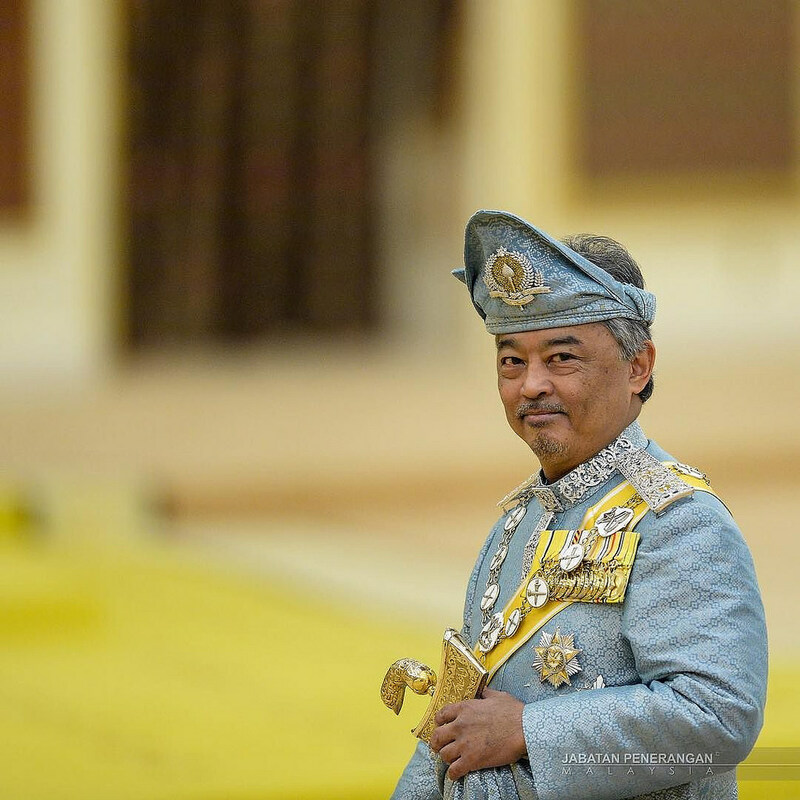 Again, on Dec 8, 2016, he was appointed as the Regent of Pahang until Jan 11 this year when the Pahang Royal Council decided to proclaim him as the sixth Ruler of Pahang. Sultan Abdullah is married to Her Royal Highness Tengku Puan Pahang Tunku Hajah Azizah Aminah Maimunah Iskandariah Almarhum Almutawakkil Alallah Sultan Iskandar Al-Haj, on March 6, 1986. They are blessed with four sons and five daughters.